As first-time investors, talk is cheap. It is easy to ruminate on the investments we might make or imagine returns we may gain. But putting your money where your mouth is and actually investing is a whole other matter. For me, I remember feeling overwhelmed. I didn't know where to start; it was confusing, they seemed so many options… and then pride crept in – what if I make the wrong choice and lose all my money? But the beauty of your first investment is it doesn't have to be about betting big on the perfect stock and making a huge return – all within the first week. Investing small can be a great way to dip your toe into the market, get a feel for how it works, and learn from your mistakes. Thankfully, it's never been easier to start small. Products such as ETFs and LICs have made it easy for people like you and me to build a long-term, diversified portfolio with very little money. So, with $500 of investable cash in your pocket, let's talk about the best places you can grow your wealth. A great way to start investing is with low cost, index-focused exchange traded fund. Yes, they may sound complicated but really, they're simple products and a great entry point. Instead of going all in on a single stock, ETFs allow you buy a basket of stocks that track the performance of a specific market index. For example, if you want to invest in the overall ASX 100 Index, you can buy an ETF that will mimic its movements. ETFs trade just like a stock on the exchange so you can purchase one with an online stockbroker such as ComSec or nabtrade. And because ETFs have no minimum investment requirements, they are a good option for those with less cash to splash. Too much too soon? These articles – 'A beginners guide to ETFs' and  '3 top rated ETFs for your portfolio' will walk you through the basics. Morningstar fund analysts also publish independent ratings and analysis for ETFs ($), and free performance tables when you’re ready to dive in. For investors without the time or inclination to manager their own portfolio you can pay a professional to do the hard work for you. A LIC, or listed-investment company, gives you exposure to a diversified portfolio of assets, including Australian and global shares, hand-selected by a professional. Like shares and ETFs, LICs are listed on the Australian Securities Exchange and can be purchased via your preferred online broker. Because they are actively managed, LICs can be more expensive the hold than ETFs. But some of the largest and longstanding LICs have the lowest fees, so it is important do your research. Read our simple guide 'Investing Basics: understanding your listed investment company (LIC)' for further guidance. Morningstar fund analysts also publish independent ratings and analysis for LICs ($), and free monthly reports. A handful of shares in a blue-chip company is a great way become an investor. A share – also known as a stock or equity – is a tiny slice of a company. Once you own a stock, you are a shareholder in the company because you share in the company's profits. Compared to other asset classes, stocks provide the highest potential for returns – and losses. Share prices can be volatile investments, and there is no guarantee of a positive return. But you can mitigate this risk by doing plenty of research and taking a long-term approach to investing. Thanks to online trading platforms, buying and selling shares is easy. All the major banks have broking websites that allow you to use the funds in your bank account to buy shares. Several non-bank brokers such as Stake, CMC Markets, SelfWealth and Bell Direct offer competitive rates. Be warned – investing in stocks can be very costly if you trade frequently. 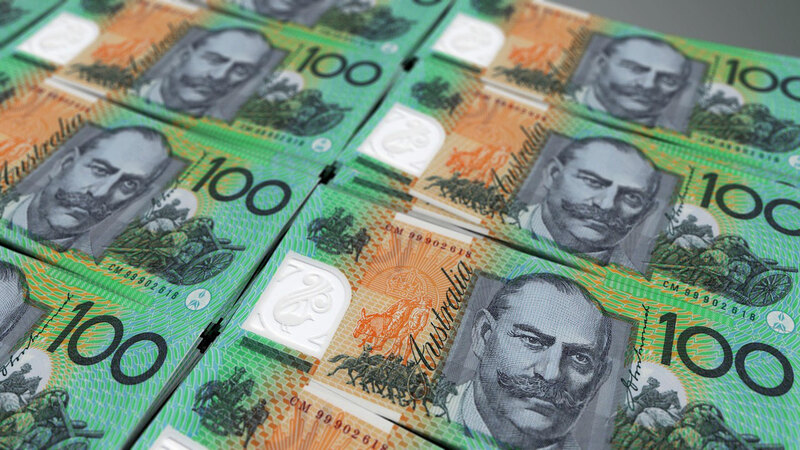 Brokers charge between $10-$20 per trade. Need more help? Let these quick reads 'What is a share where can I buy one' and 'How to buy shares on the ASX' guide you. 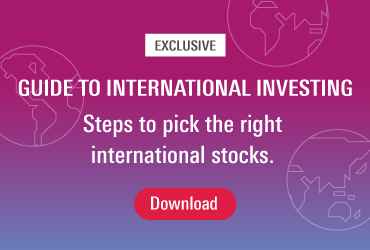 Morningstar's global and Australian best stock ideas list ($) is a great source of insights and analysis if you need some help selecting a stock. Our free stock screener is also a powerful tool to help you navigate the over 2,000 listings. The earlier you begin investing the better; do it regularly and reinvest dividends and your gains can quickly grow. So even if you only have $500 to invest, start now and start small. I promise once you start, you’ll never look back and your future self will love you for it.